As everyone interested in speculative fiction already knows, Worldcon 75 is near and about to take Helsinki. Excited by that, the independent publishing house Osuuskumma is launching a series of blog posts that pairs up writers around the world to talk about their love of writing science fiction, fantasy, and horror. I had a chat with the internationally-known Finland-Swedish YA author, Maria Turtschaninoff. So: who are you and what have you written? Maria Turtschaninoff: I'm a full time writer as of about eight years. This year I also celebrate my 10-year-anniversary as a published fiction writer! I write fantasy, of the kind that is often marketed to a young audience. My aim is, however, to reach everyone interested in good fantasy! My novel Maresi and its two subsequent novels have been sold to over 20 territories and Maresi was optioned for a movie by Film4 last year. Artemis Kelosaari: I'm a journalist, literary critic, spoken word poet, and – last but not least – speculative fiction writer. 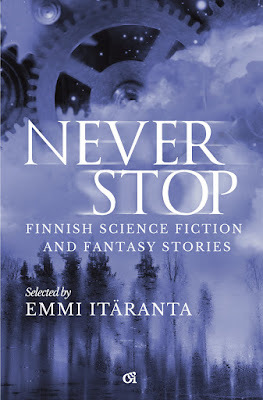 I have released maybe a dozen of short stories, one of which – the post-steampunk The Wings of the Hornet Queen – is included in the new SFF anthology Never Stop by Osuuskumma Publishing. My debute novel Omenatarha – kertomus huonoista miehistä ("Apple Garden, or a Story of Impure Men") is published in September, sadly just after Worldcon; like so much more of my work, it's a combination of history, bizarre elements of sci-fi or fantasy, grotesque horror, and open eroticism; typically male-on-male. Why speculative fiction? How have you ended up writing SFF? MT: Why not speculative fiction? All fiction is "speculative" anyway, why not go all the way? But seriously: it's what I love reading and it has always felt more "home" to me than any other genre. I can enjoy reading well written contemporary novels, but I always feel a bit like a stranger when I do. In speculative fiction I can kick up my boots, relax and know I am among my people. AK: Because facts can be interesting, but even more interesting is what could be or could have been. 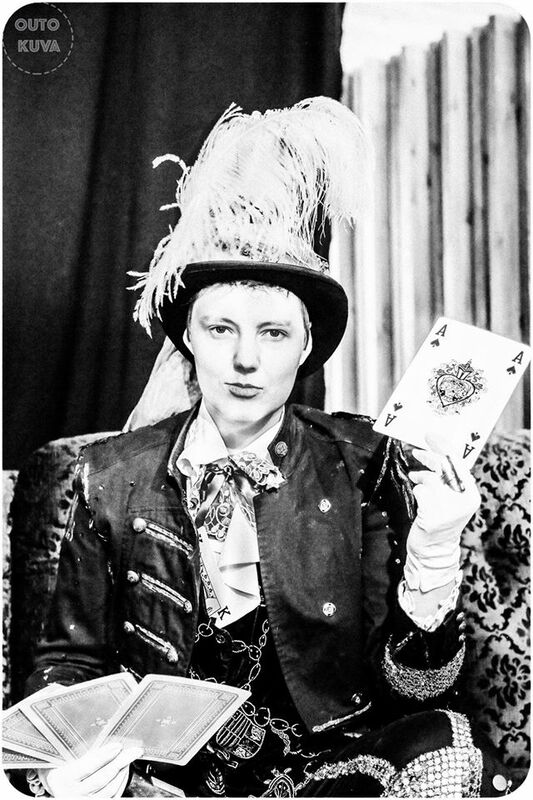 I have always been an escapist and a romantic in the 18th-19th century meaning of the word. In which languages has your work been published? MT: I am quite honest when I say I have lost count of all the countries Maresi has been out in so far, because not all the rights that have been sold have been published yet. But I am guessing it's over ten by now. AK: In Finnish, which is my first language, and in English. 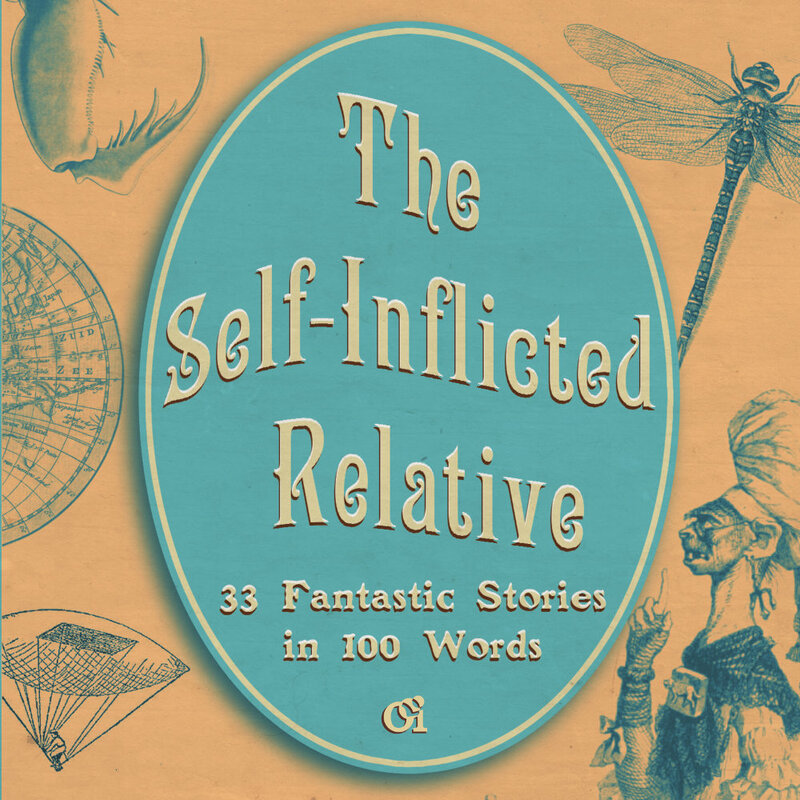 The English part of my work means, so far, only the story in the previously-mentioned anthology Never Stop and some drabbles in the anthology The Self-Inflicted Relative (by Osuuskumma Publishing as well). What is it like to work with translators, or to see your own story in another language? MT: It's fantastic to get to work with talented, professional translators! Annie Prime for instance, who has translated Maresi and Naondel into English, is amazing. She makes my words sound even better. And there is no-one who reads your text more closely than a translator, not even an editor. My translators always find mistakes and slip-ups that nobody else has spotted. AK: I have translated my stories mainly myself, only with assistance of proofreaders. It's practically re-thinking your own story – not just in another language, but in terms of another culture as well. These two are often inseparable. Does your nationality show in your work? How? MT: I think one of the beautiful qualities of fantasy is that it is a genre that crosses borders quite effortlessly. My novels are mainly set in a secondary world. However, as a writer I think you can never quite escape who you and where you are from, so I am sure my Nordic-ness shows in things like a reverence of and proximity to nature, my view on men's and women's rights, an affinity for the seasons etc. AK: At least The Wings of The Hornet Queen, as well as Omenatarha, happen to be quite un-Finnish: they're both set in Britain with no connection to Finland. Many other stories of mine, though, have been inspired by Finnish history or places. To be a writer from a small country and write in a marginal language such as Finnish or Swedish – an obstacle or a chance in relation to international literary market? MT: Well, of course it's an obstacle. If you write in English the whole world lies open to you right from the start. I write in Swedish, which is the minority language in Finland, spoken by 6% of the population – my first obstacle is reaching the Finnish market. Then comes the international one. But there are benefits, too. Coming from such a tiny market as Finnish-Swedish fantasy (for young readers!) naturally is, gives me a certain artistic freedom I can see that my international counterparts lack. I can write pretty much what I want, how I want, with no pressure to be "easily marketable" or fall into some specific niche. AK: I'm only in the beginning of my career of course, so I can't really say anything out of my own experience, but I'd say it is both. To live on the "edge" offers a unique view to the world. Still, if you happen to be in such position, you have to to be able to think in terms of the mainstream culture as well; in this case, to know English well enough. Find the balance, sort of. Otherwise you're doomed to stay in the obscure margins. What do you think of the status of speculative fiction in Finland, compared to other countries? MT: Here too I think small can be strong. Since so much has to happen on the fringes of "real" literature, stuff that sells, the writers are free to be innovative and take risks. AK: That's another thing I don't know that much about, namely the realities of the SFF writer or the fandom in other countries. But in Finland it seems like the realism-as-the-only-Real-Serious-Adult-Literature™ trend we had for decades is now finally subsiding. Or at least its hegemony is breaking once again, since that idea has been around since 19th century Nationalism and was part of it, but it was challenged as well in the first half of the 20th century. What does it mean to you to have Worldcon in Finland? MT: It's amazing! It's just this huge, huge thing landing on our shores, and it's still miraculous to me that it happened! I can't wait to meet old friends and make new ones, show my son what a con is and have a generally great time. I guess I should think about work and networking and such, but I am just way too excited! AK: A great chance to learn about the international SFF circles and meet fellow writers and authors from everywhere in the world. And, of course, make my name more known.